The Victorian Transport Association (VTA) has thrown its weight behind the International Truck and Trailer and Equipment Show (ITTES). 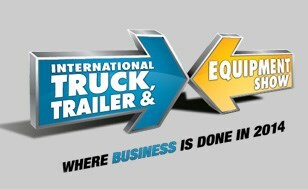 The industry association, a foundation partner since its inception in 2008, points out that the show, scheduled for April 3-6 at the Melbourne Show Grounds, "has served to bring commercial road transport exhibitions to a new level of professionalism and accountability". "Victoria has historically been Australia’s freight and logistics capital and the headquarters for the majority of the major fleets and road transport equipment suppliers," VTA CEO Neil Chambers says. "So, it is only fitting that we should have Australia’s leading Truck, Trailer and Equipment Show based here in Melbourne." His comments come after Cat Trucks said last month that it would not be involved with the show, indicating that a third major event in nine months, following Brisbane and Perth, was one too many. The VTA says that, in conjunction with the Transport Workers Union, it would facilitate opportunities for drivers and their families to participate fully in the scheduled program, especially the two Public Days on Saturday and Sunday April 5-6. Crowds in excess of 40,000 are anticipated for the event, it adds. The initiative will look to involve all transport personnel including mechanics, supervisors, operational and clerical staff that often do not have the opportunity to attend interstate shows. "Geographically and economically speaking, Australia is a large and diverse environment, and the commercial road transport industry is the ultimate display of this diversity," Chambers says. "Melbourne will proudly showcase our manufacturing and logistic expertise alongside the growing number of international exhibitors. "It has gone from strength to strength delivering positive outcomes for all involved. "We’ve got no doubt that 2014 will be no exception, with the full support of the VTA, VACC and the Victorian Government."